From a pair of old brownstones on Beacon Street in the Greater Boston area to a lodging that first opened as a crossroads public house in Concord in 1716, Massachusetts inns are smaller, quiet, extremely luxurious lodgings that reflect the historic character and regions of MA. 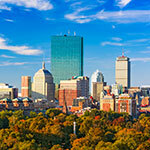 Inns are found in every corner of Mass, including North of Boston, Marblehead, Rockport, and Salem. Inns usually offer personal luxuries like hot tubs and Jacuzzis, fine dining, gardens and walking trails, spectacular scenery, and nearby cultural attractions. North of Boston region, including picturesque Cape Ann, is a place to go whale watching in Gloucester, visit museums of witchcraft in Salem, learn about New England’s seafaring past at the Peabody Essex Museum, enjoy art and beautiful harbor vistas in Marblehead and Rockport, see the history of the Industrial Revolution in Lowell, and dine on lobster and seafood at every stop. An elegant Federalist mansion in the heart of the historic harbor district. Two Federalist mansions with many working fireplaces have been connected to form this elegant Inn, located in Old Town. The Inn offers first class accommodations, dining and amenities. All rooms are equipped with private baths, televisions and air conditioning. Many of our rooms have working fireplaces. Some rooms have double Jacuzzis, sundecks or patios. Most rooms have large-screen HDTV televisions. Free WIFI throughout Inn. An extensive breakfast buffet is included with all rooms as are afternoon tea, coffee and snacks. Breakfast includes: fresh coffees, teas, juice, seasonal fruits, yogurts, freshly baked breads and assorted quiches and casseroles. We are in the heart of the historic harbor district of fine shops, galleries and great restaurants. The harbor is just around the corner. The innkeepers at the Tuck Inn, which dates back to 1790, say they want guests to feel welcome and to leave refreshed, and they do everything possible to make that happen. 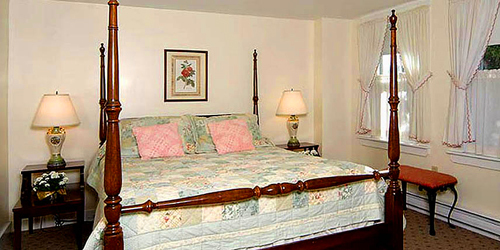 Breakfast is baked fresh every day and the spotless, spacious rooms feature antiques and period reproductions and quilts as well as original works from local artists. The property is surrounded by colorful gardens. And the staff is happy to recommend everything from that perfect seafood restaurant to which paths are the most delightful in Dogtown Woods or along the Atlantic. On a quiet residential street but only a five-minute stroll to the village center with its galleries and shops, the Tuck Inn is proud to be guests’ home away from home. 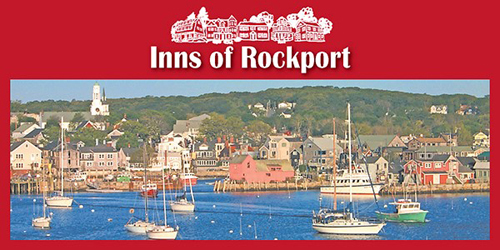 The Innkeepers of Rockport, Massachusetts, are pleased to welcome you to our seaside village. You will have the vacation of a lifetime. Rockport offers a multi-vacation experience. 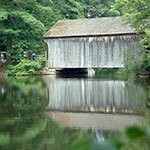 This is why so many visitors return each year. There is always more to see and do. 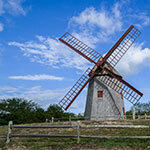 Cape Ann's beauty has attracted painters including Winslow Homer and Fitz Hugh Lane. 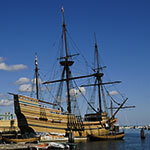 Gloucester's seaport is the nation's first, and is still active.